FISHING PARADISE HOME FOUND: On this beautiful highly sought after WATER FRONT TIP LOT with 232 ft of concrete sea wall. Private launch, Low maintenance Composite dock with 6,000 lb covered lift will ensure you get on the water without delay. Short ride out to the Myakka River, then via Charlotte Harbor to the Gulf. When you walk in the front door the intersecting canal/pool view grabs your attention, through the huge pocket sliders. Then, you realize how great the house is! 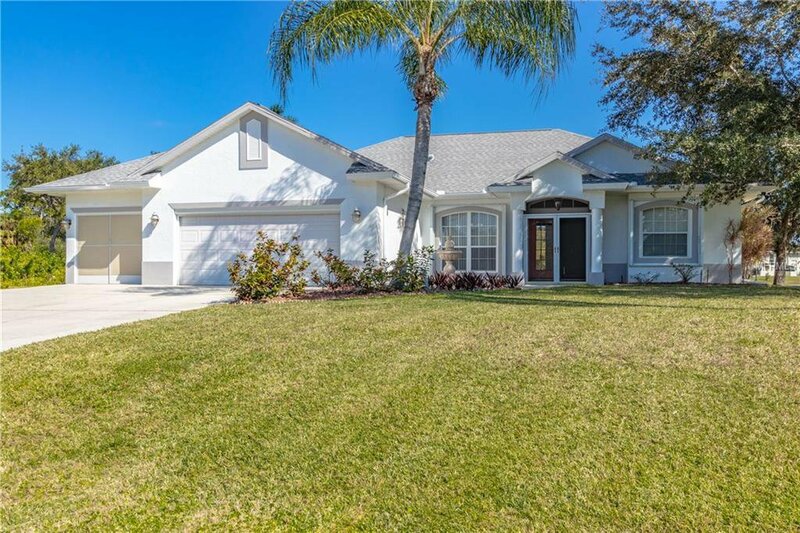 Kitchen has recently been remodeled with high end Quartz counter tops, easy close cabinets, newer stainless steel appliances, lots of storage, and a Huge island perfect for entertaining.The open floor plan and high ceilings give a spacious feel to the home. Master bedroom has water view, walk-in closet and slider out to the pool. Master bath has dual sinks and large walk-in shower. Guest bedrooms share the hallway bath and are split from the master. Nice sound system throughout the house, even the garage and lania! Back outside there's a huge 11x30 Robin Builders Shed for your extra storage needs. Home exterior recently painted. 2018 new accordion shutters, and one electric roll down on the back lania. New roof 2017. Whole house reverse osmosis water system. Watch the boats go by while your'e having your morning coffee. Very relaxing!!! Listing courtesy of KW PEACE RIVER PARTNERS. Selling Office: ALLISON JAMES ESTATES & HOMES.